brakehorsepower.net • View topic - What is this car? Can anyone identify this car? 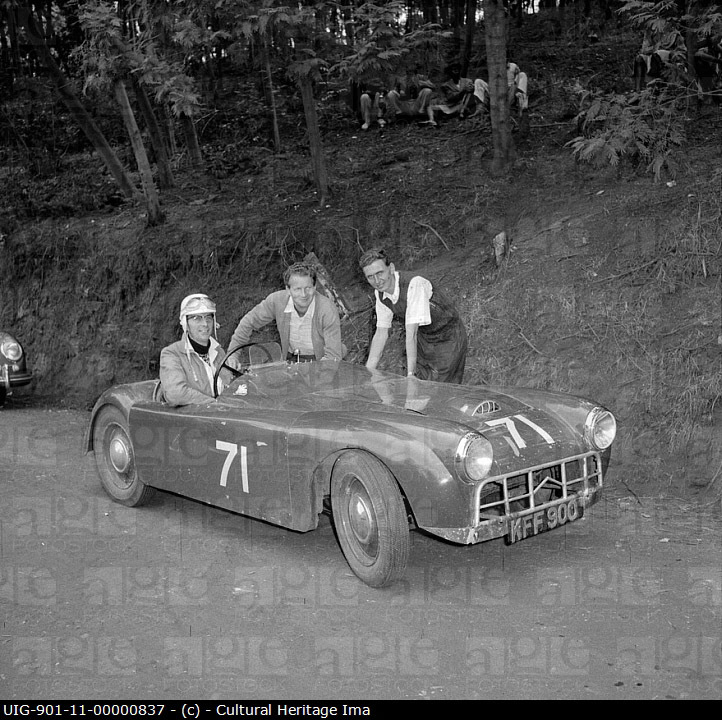 The venue is the Brackenhurst hillclimb in Kenya, probably in the late 1950s or early 1960s. Re: What is this car? No idea Mary, but I am carrying out some research into the picture. Well spotted Colin, the look of the side panels suggests homemade, but linked to a production rear end of some sort, while he bonnet is almost certainly from some other production car. All in all Mary I reckon it is a 'one-off' but it would be nice to track down the type of chassis. The reference number on the photo also indicates it comes form some official library (stick it in Google and get a map of Mombasa). More information from your source might help track it down MQC. Mary the picture was probably taken at the Brackenhurst Hill climb near Nairobi in the mid fifties, may be your source can find out more. Wow Bob, many thanks for your clever detective work! We will get in touch with the Buckler register to see what else we can learn from them. Bob Bull wrote: Mary the picture was probably taken at the Brackenhurst Hill climb near Nairobi in the mid fifties, may be your source can find out more. Oops! You already told us that! The number plate indicates that the car was first registered in 1956 in the Nairobi district of Kenya, and I have been advised that the car never raced at Nakuru circuit. Mary a Google search says the Brackenhurst Hill Climb ran between 1959 and 1963.